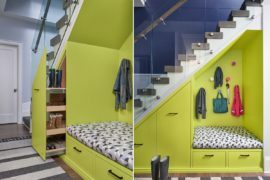 Think of storage space and our mind drifts towards wall-mounted cabinets and large shelves that make the most of the vertical room on offer in our modest homes. 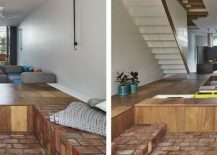 But have you ever considered all the floor space that goes to waste? 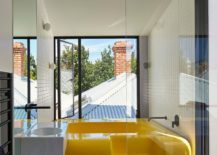 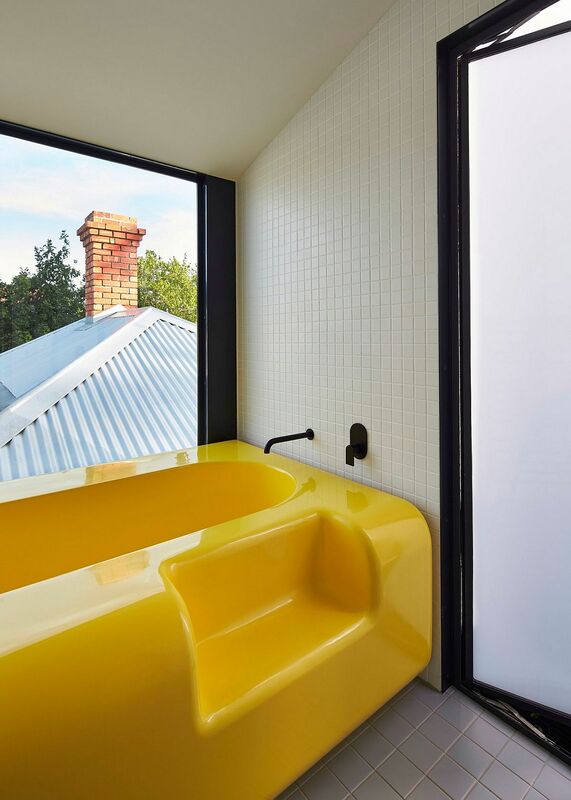 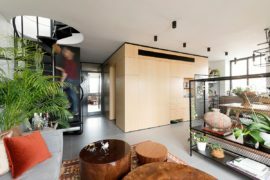 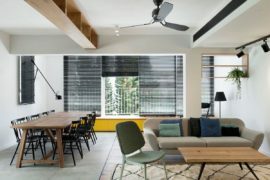 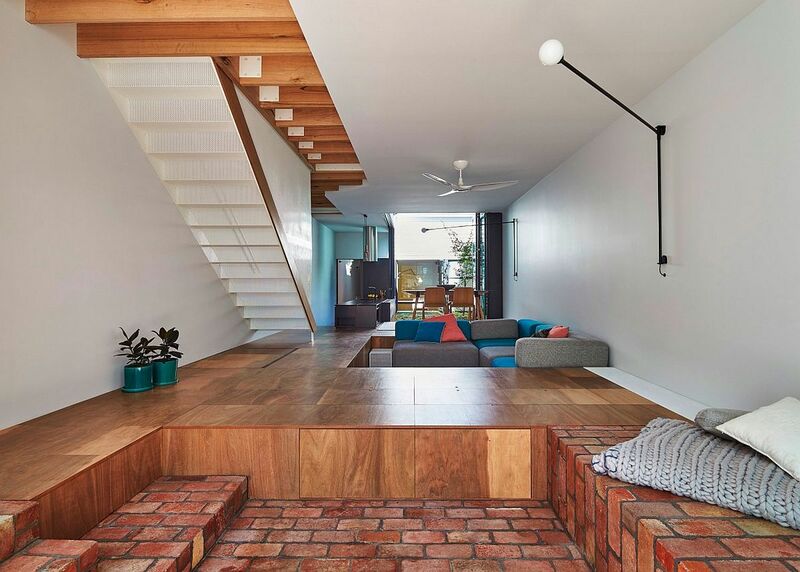 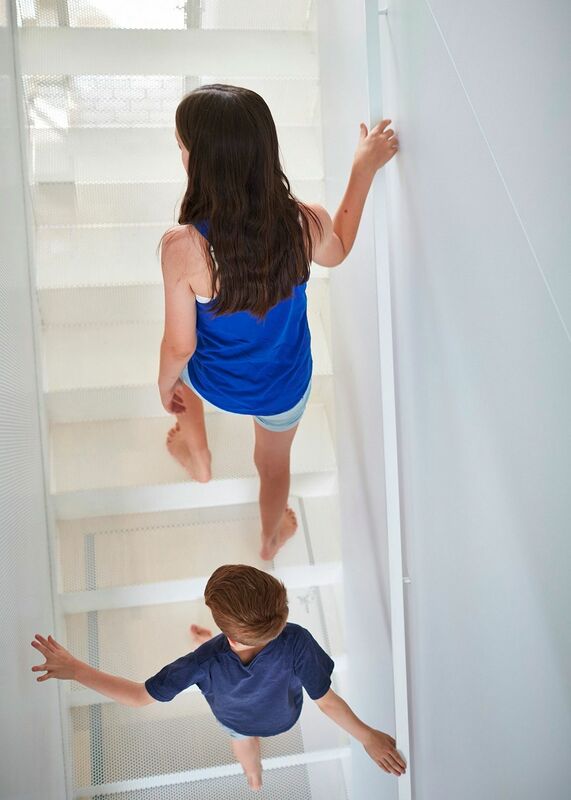 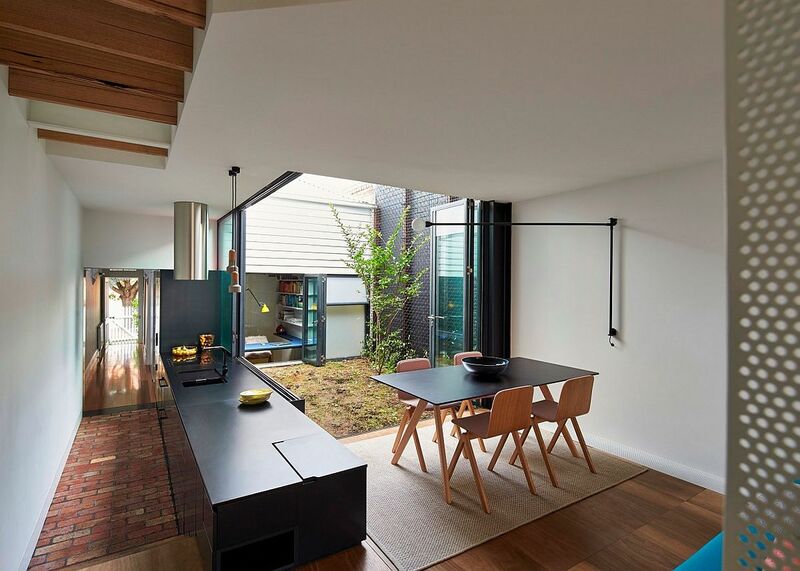 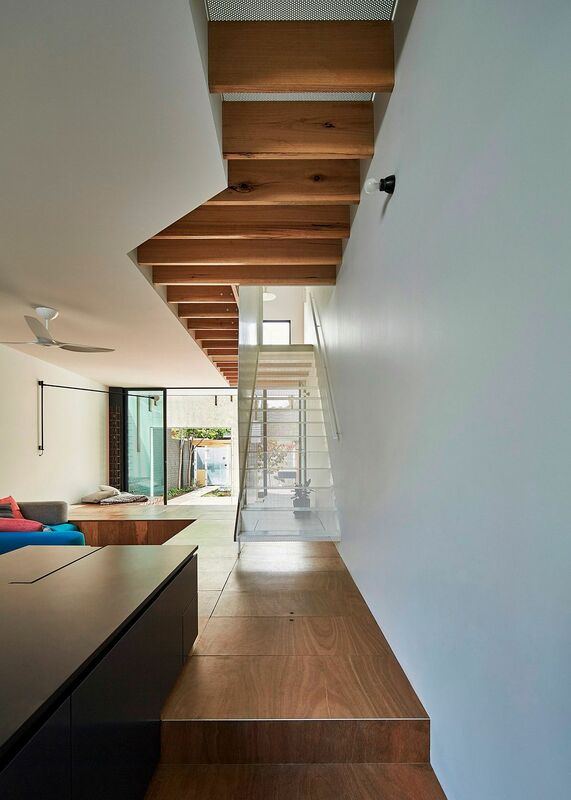 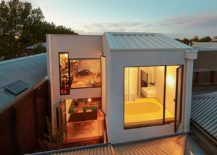 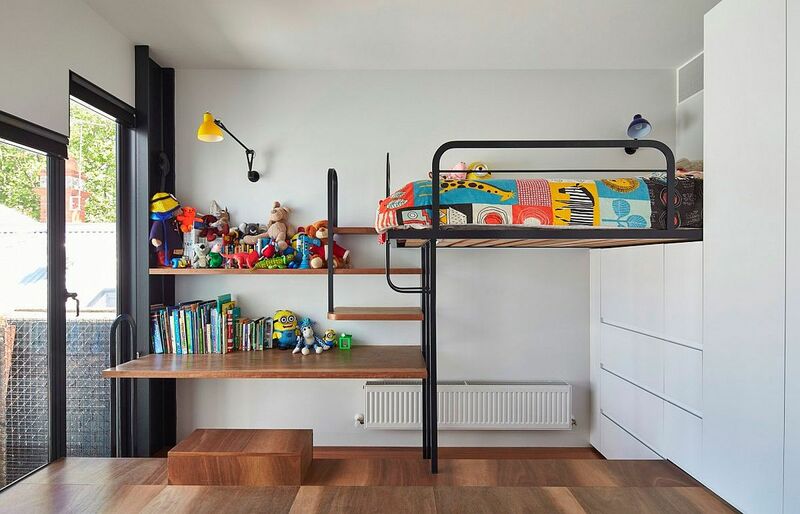 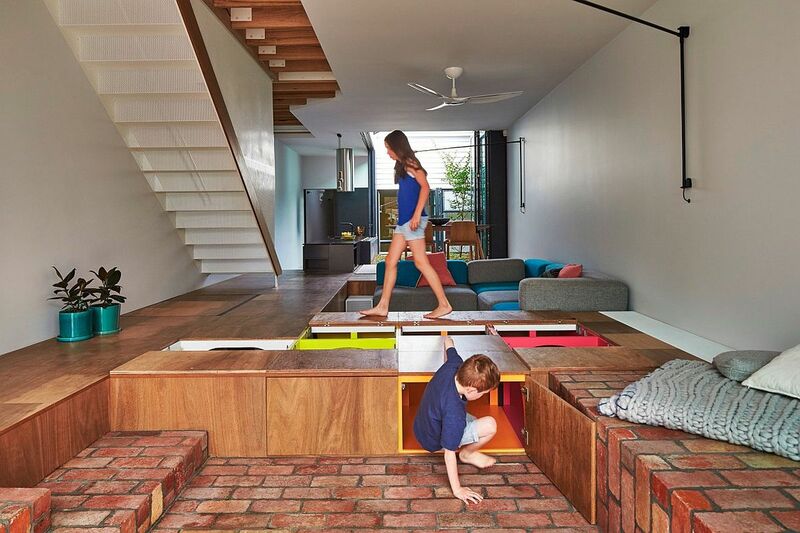 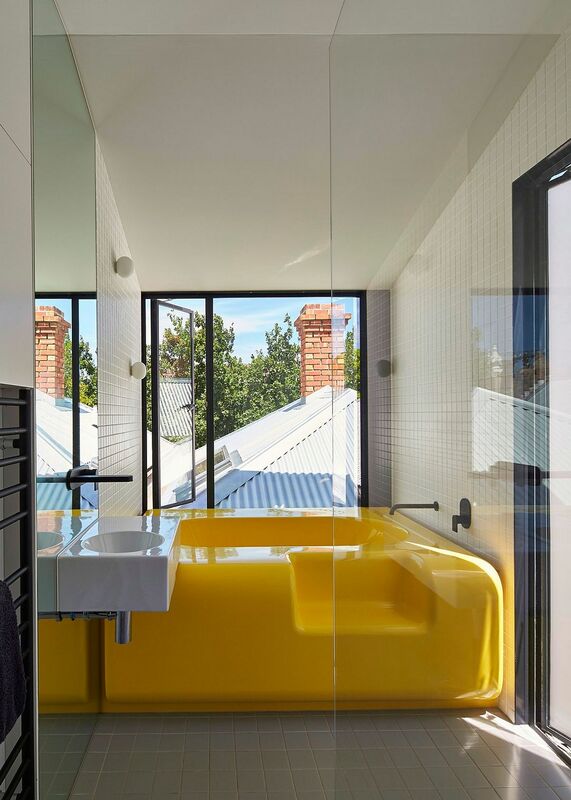 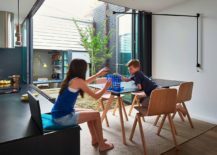 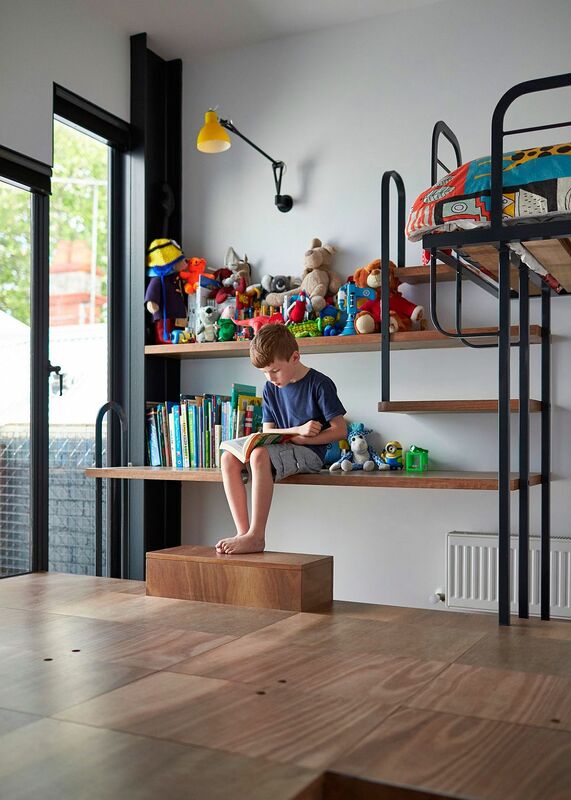 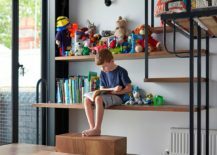 Yup, this fabulous and creative home is an extended terrace house located in Melbourne, Australia, where Austin Maynard Architects utilized the floor to create a toy box that allows the homeowner to tuck away all the mess after a long, fun-filled day with her little one. 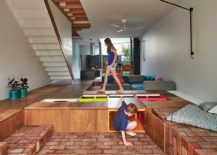 The idea behind this nifty feature was driven by the constant hassle that parents face all across the world where the floor ends up being a cluttered mess filled with a million things after the kids’ playtime! 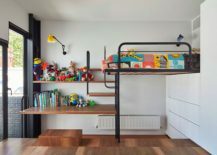 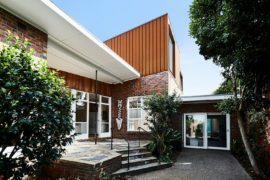 Instead of having to pick up every single item, neatly organize it on the shelves or store items in giant baskets, the new mom of this Melbourne home can simply open up the toy-box floor and sweep away the mountain of toys! 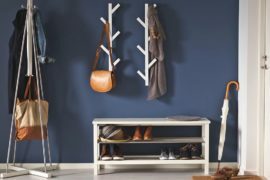 It is easy, does not really break your back, and you definitely are creating new storage space that has never been tapped into. 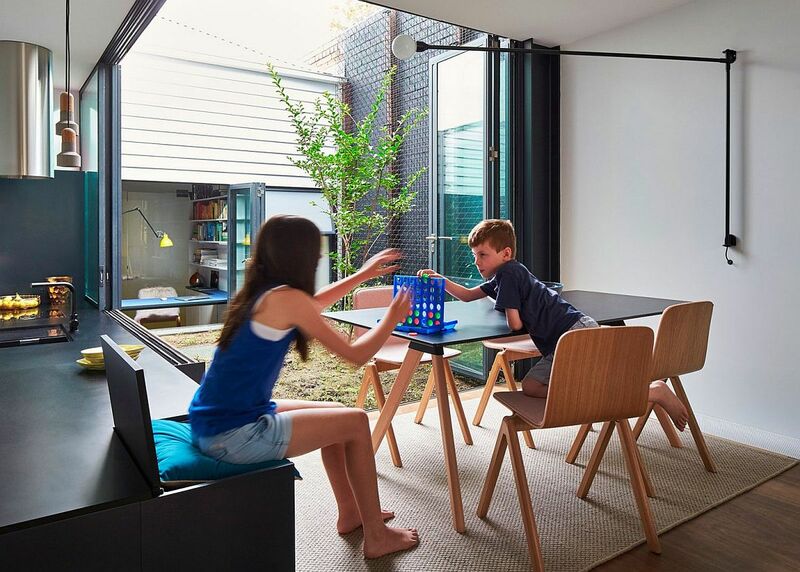 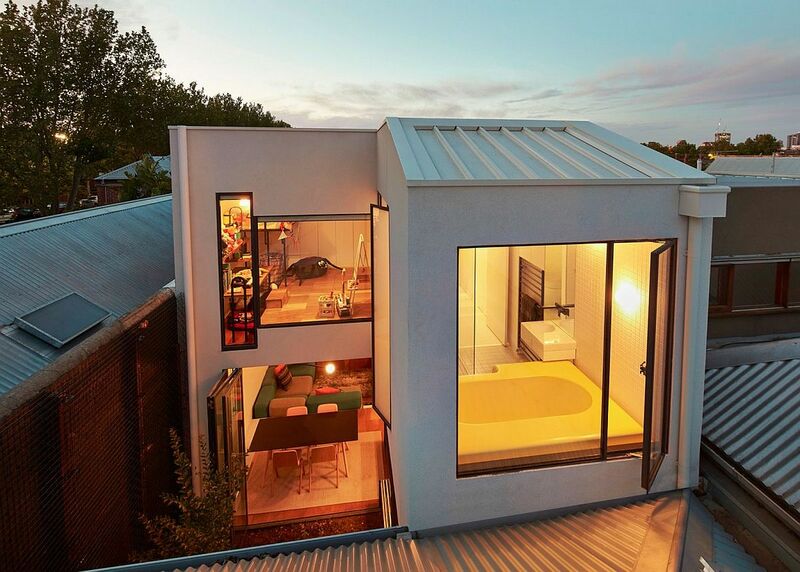 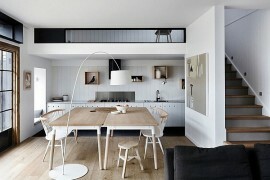 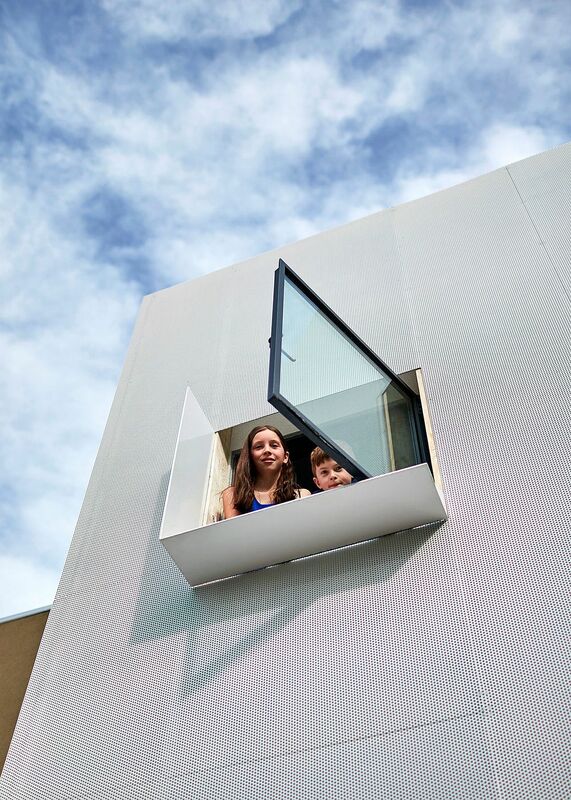 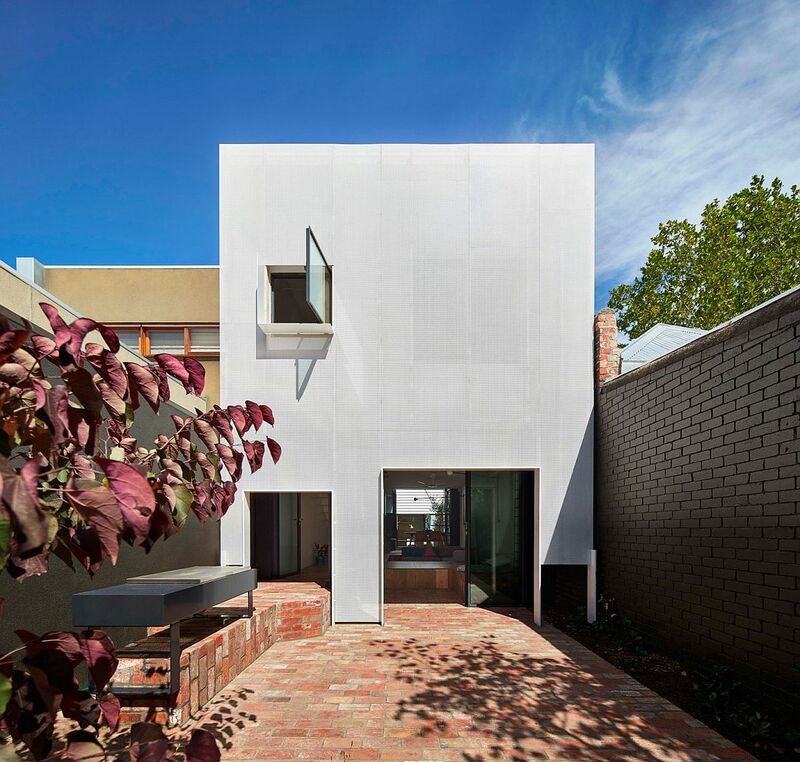 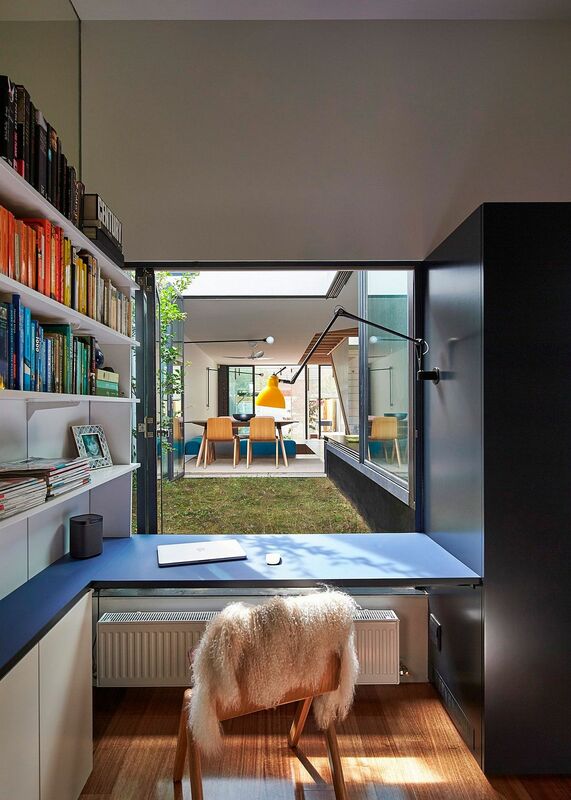 But the smart rear extension of the house offers much more than the 1.5-feet-deep toy-box floor. 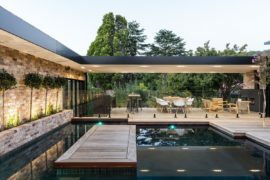 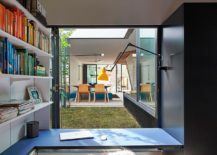 The sunken design of the living area also turns it into a lovely gathering space for friends and family, and the open design of the new extension along with the corridor and kitchen ensure that there is a flood of filtered light indoors. 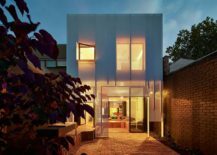 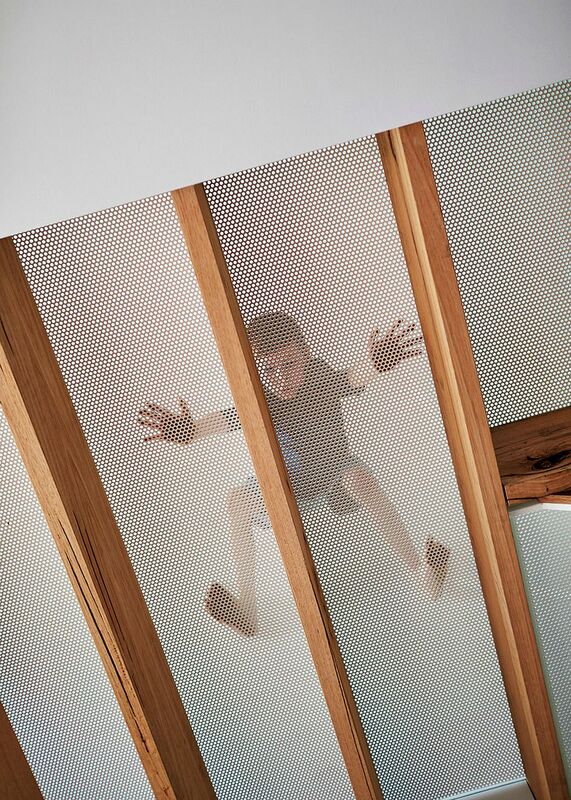 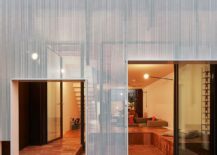 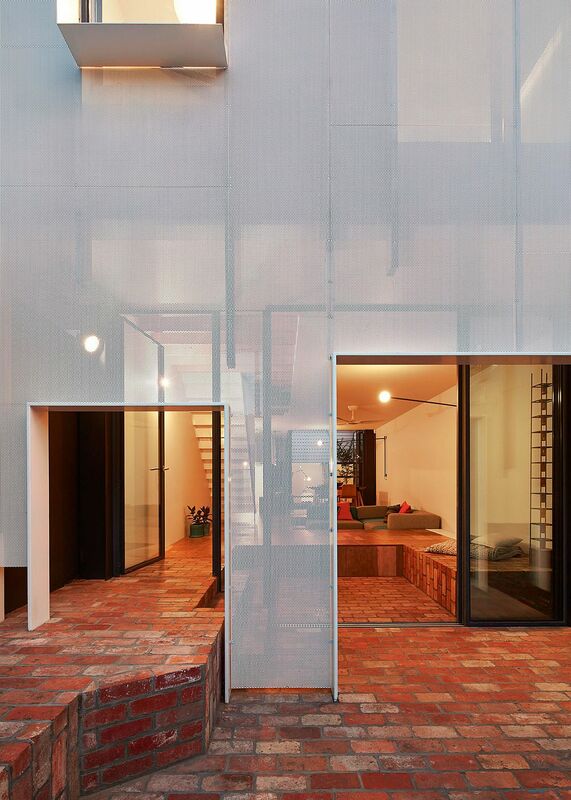 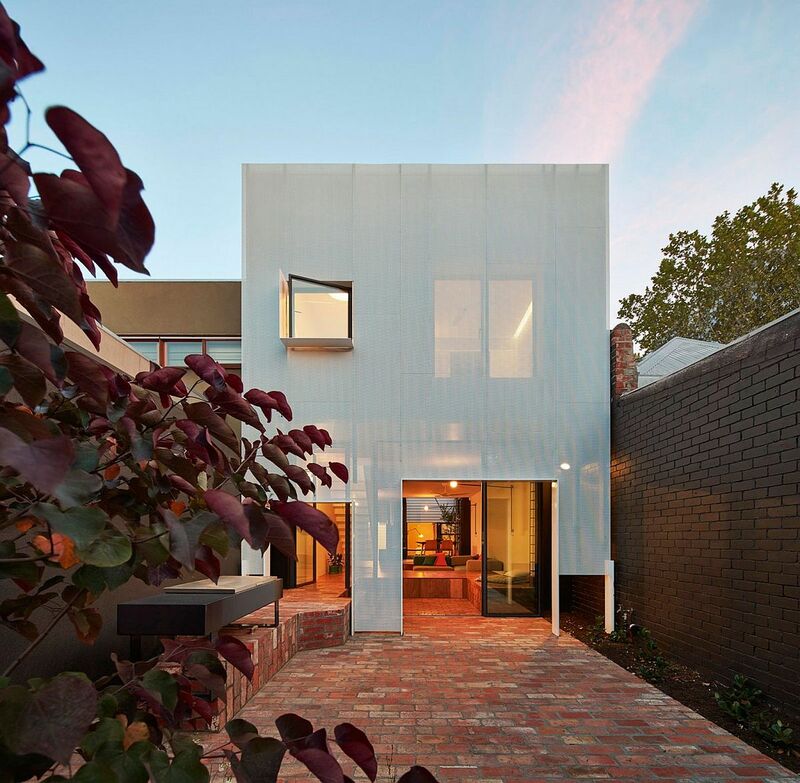 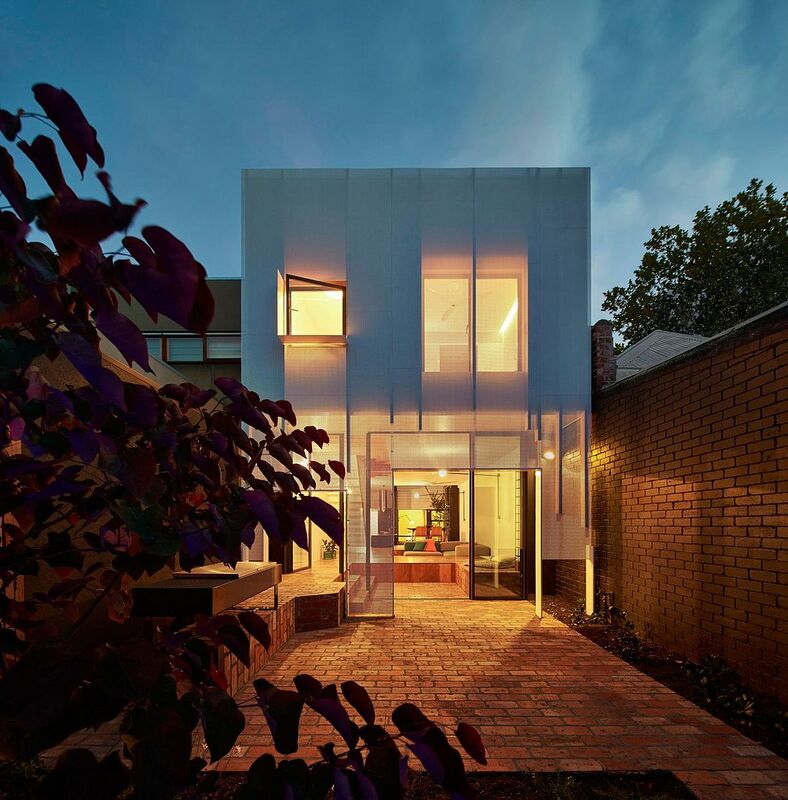 Another striking feature of the residence is the perforated metal screen that filters out harsh sunlight while illuminating both the levels of the home.